What is Feline Cat Panleukopenia Virus Infection? Feline Cat Panleukopenia Virus is more commonly known as feline or cat distemper. It is also know as feline infectious enteritis (FIE). This virus attacks the blood cells, which can lead to anemia and other viral or bacterial infections. Only cats can be infected by FPV. What are the symptoms of FPV? 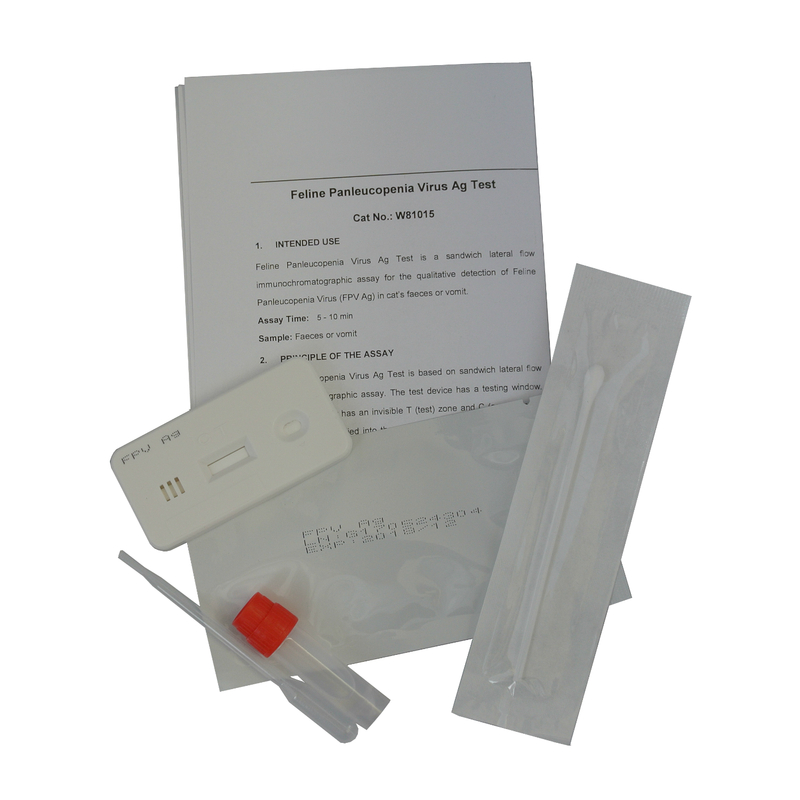 The feline parvovirus (FPV) is the initiating cause for feline panleukopenia and is contracted when a cat comes into contact with infected blood, faeces, urine or when bitten by fleas which have been feeding from an infected cat. The virus can remain in the environment for years and is resistant to most disinfectants. It can be transmitted after contact with contaminated surfaces, bedding, food bowels, clothing, shoes, litter trays and hands. Soaking items in a bleach solution (1 part bleach to 32 parts water) will be effective in killing the virus. If you have come into contact with another cat outside of the household, ensure you wash your hands thoroughly with soap and water. The virus can also be passed on from mother to kitten prior to birth and through the mother’s milk. It may not be initially obvious whether a new born kitten has the virus but, as they develop, they will appear highly uncoordinated due to the virus effecting the development of the kitten’s brain. FPV is a highly contagious and life-threatening disease. Many older adult cats exposed to the virus do not show symptoms. Unvaccinated kittens, pregnant cats and cats with a weakened immune system are most at risk of developing severe symptoms. The virus can cause severe vomiting and diarrhoea and a cat can die rapidly. How is FPV in my cat diagnosed? The onset of symptoms can be sudden and so severe that it gives the appearance of poisoning. Early treatment is essential to give your cat a better chance of surviving the infection. Your vet will want to know which of the above symptoms your cat has been showing, whether she goes outside and had any possible contact with other cats. They will also want to hear about the history of your cat’s health and will want as much detail as you can give, as FPV can appear to have similar symptoms to several other illnesses. The vet will take blood and urine samples, and possibly a faecal sample, for analysis. If you want to know if FPV is present on your premises, but your cat/cats are not sick, the cat can be tested for high levels of FPV antibodies. What treatment will my cat receive? Your cat is highly likely to require hospitalisation in order to receive vital veterinary and nursing care. Due to the highly infectious nature of the virus, suspected cases must be nursed in isolation. There is no specific treatment but intravenous fluid will be given to help with dehydration together with antibiotics. Additional medication to stop vomiting may also be given. What are the long-term effects of FPV? A cat, which survives the symptoms for longer than 5 days, will probably make a full recovery after several weeks, regaining any lost weight. The cat can still be contagious for up to 6 weeks as it may well shed virus particles for this long. How can I prevent my cat from developing FPV? Considering the high mortality rate and the virus’s resilience, vaccination is the best prevention followed by regular boosters. Fortunately, highly effective vaccines are available. A kitten should not be placed in a cattery or a household with other cats until she has received her vaccinations. If an environment has been contaminated by the presence of cats with FPV, a solution of 1 part bleach, 32 parts water should be used to soak contaminated items and clean surfaces and floors.